Award season is officially over, Fashion Week is officially over. But the events they keep on coming. The annual FX All-Star party, SXSW, sparkly suits and an amazing magazine cover feature in this edition of “Out of the Box.” At the FX All-Star event in New York, Sarah Paulson and Billie Lourd looked very pleased to see each other. Black tights are still very much required with this weather so I am all in on Billie Lourd’s choice here. This green floral jacquard Gucci Resort 2018 frock and teal heel combination is a dream. Meanwhile, Sarah Paulson is serving dramatic power dressing in a grey Dior suit. I thought it was a skirt at first, but nope those are the widest of wide pants. I love them. An FX/FXX crossover that needs to happen. Congratulations to You’re the Worst creator Stephen Falk and make-up artist Kristina Frisch on the new baby! Those Saint Laurent shorts belong in 2001—this is another indicator that early ’00s fashion is making a dreaded comeback—but I love the top half of Keri Russell’s outfit. Switching out the shirt from the runway look for something less fussy was a good move and it is always fun seeing these two on the red carpet. Season six of The Americans the new trailer is now less than two weeks away; it looks tense as hell. Taking this as a personal message to me. SXSW is a lot like Sundance in both the kinds of work getting showcased and the more casual sartorial leanings. The big difference here is the temperature. 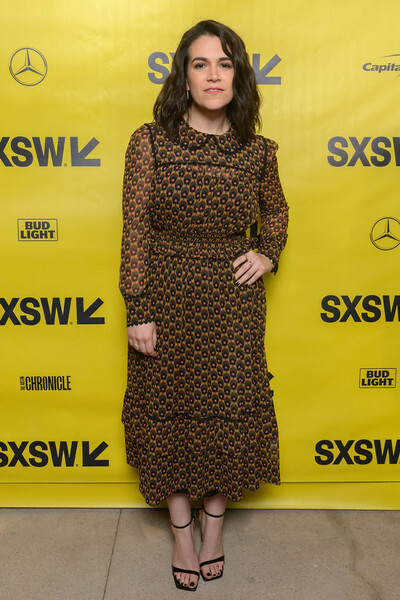 As with Sundance there are a lot of outfits to covet, which would work in my closet, including Abbi Jacobson’s print dress complete with a Peter Pan collar at the 6 Balloons premiere. Regina Hall ‘Drinks Well with Others’ at the Support the Girls SXSW premiere. A slogan tee I can get behind. ✴️✴️✴️. . @selashiloniphoto good job taking cool pictures. Mustard yellow and ’70s styling are my weakness. This D’Arcy Carden shoot is fun and also I really want that blouse. Miss you, The Good Place. 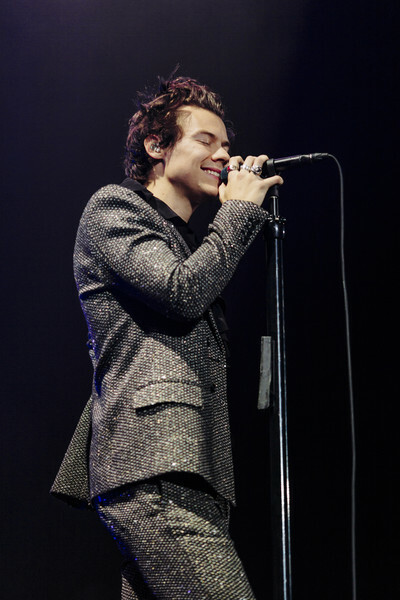 On the European leg of his tour in Paris, Harry Styles continues to delight in his suit choices, switching out Gucci florals for Saint Laurent sparkles. I screamed with joy when this Advocate cover popped up on my feed. 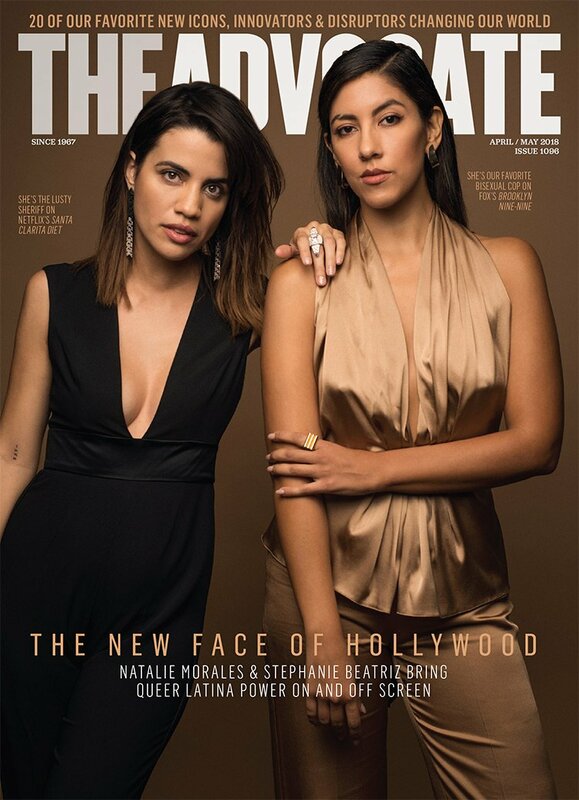 More magazines featuring Natalie Morales and Stephanie Beatriz. Please and thank you.